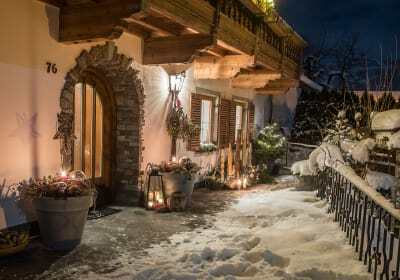 Our farmhouse is located centrally and still peaceful at the entrance of the Ziller Valley at an altitude of 540 m with a view of the surrounding mountains. Here you can expect hospitality, that is literally tangible! Modern, cosy living comforts, with furniture made of wood and natural raw materials; the rooms and the apartments feature herbal pillows/ herbal baths, foot massager, gym, tea bar, Wendy house. Every child's dream will come true! Ground zero for hikes and excursions. Farm characteristics: Adventure and health farm. 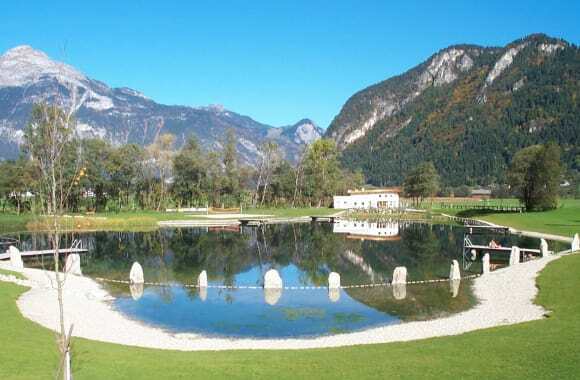 Sale of products grown in the farm, schnapps distillery, milk vending machine, old-timer ride to the summer hills on the TÜF1, books for everyone, backup programmes in case of bad weather, play gardens, package offers! Please visit www.Brixnerhof.at for further information. 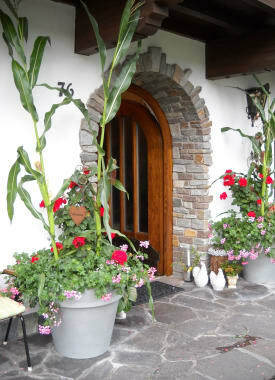 Our Vitality Holiday farm-guesthouse with holiday home is located at the entrance to the famous Zillertal. 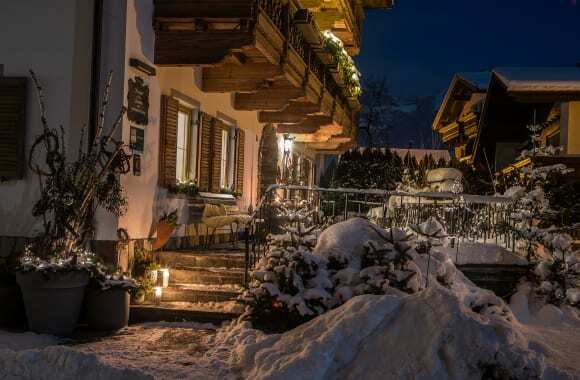 Quiet and yet central, in winter there is a free bus and train to the ski regions, lockable ski room and ski boot drying rack, various teas at any time. Car park and garage available, therapeutic infrared cabin, gym, health books, massage rollers available. Here you can expect hospitality, that is literally tangible! Contemporary, cosy living comfort, wood/natural materials; herb pillows/herbal bath, playhouse/room... Every child's dream will come true! Central starting point for hikes and excursions. Farm characteristics: Adventure and health farm. Sale of products grown in the farm, schnapps distillery, old-timer ride to the summer hills on the TÜF1, books for everyone, backup programmes in case of bad weather, play gardens, package offers! Please visit www.Brixnerhof.at for further information. Milk, yoghurt, bread, jams, herbal tea, schnapps, liqueurs. Our brown and spotted cows, along with their calves, are the pride and joy of Johannes the farmer. His dedication to, and love of, his work shows in the quality of the milk on your breakfast table. The calves play happily on the straw while they are waiting to nurse. Our ponies, Joggl and Winnipuh, enjoy being led around the garden by children and playing in the pasture. Our miniature goats, Max and Moritz, get a brand-new leash every year for walks! Then there are our pigs, Sissi and Susi, waiting patiently for visitors in the barn. Our two rabbits, Lilli and Lalli, hop around the barn until they are let out to play in the grass. Young children love our guinea pigs, Trixi and Traxi, and enjoy naming the chickens and the ducks. Visitors are welcome to gather fresh eggs from the chicken coop. The newest animals on our farm are the Scottish sheep. These are the smallest wool sheep in the world. Our guests will be able to interact with them in the garden. The rooms radiate a sense of well-being and are bright and cheerfully furnished with a lot of wood with parquet flooring- balcony with garden furniture, light in the middle of the room - lamps over the bed, table and chairs, as well as carpets are available, blackout curtains, massage roller, white allergy-free bed linen, ventilation in the wet area, bathroom towels and towels for general purpose, soap, toilet paper, warm and cold water, shower and WC, large mirror with vanity mirror and hairdryer. THE NEW EDELWEISS APARTMENT has 2 separate bedrooms, 2 balconies, high-quality wooden furnishing with a lot of ATTENTION given to detail, oakwood flooring, 2 flat-screen satellite TV, therapeutic infrared cabin, very bright, shored natural stone wall with illumination, pull-out leather chairs, separate WC with exhaust, wash basin, glass shower with a large mirror, vanity mirror, hairdryer, soap, wall-mounted towel drier, bath towels, fully-equipped kitchen and the living room with a large seating area. Modern, comfortable apartment with complete wooden furniture, large living area with views of the Ziller valley Alps, separate WC, two large balconies, spacious bath with shower, underfloor heating in the entire apartment (individually regulated in every room), very spacious bright and cheerful room emanating a sense of well-being. Features dishwasher, microwave, oven, ceramic glass hob, freezer compartment, coffee percolator, kettle, toaster. Also available are radio and satellite TV. Comfortable with complete wooden furnishing and a country-style apartment appointed with careful attention to detail. This apartment houses a round oriel opening out views of the farmhouse and the chestnut tree, balcony facing the garden, separate WC, wet area with glass shower and a large mirror and boasts a lot of daylight, hairdryer and first-aid kit,dishwasher, oven and ceramic glass hob, microwave, kettle, coffee percolator, toaster, satellite TV, radio, parquet flooring. Modern, comfortable apartment with complete wooden furniture, separate WC, two large balconies, spacious wet area with shower and window, hairdryer, first-aid kit, large mirror, floor heating in the entire apartment (individually regulated in every room), very spacious, bright and cheerful room emanating a sense of well-being. Features dishwasher, microwave, oven, ceramic glass hob, freezer compartment, coffee percolator, kettle, toaster. Also available are radio and satellite TV. Modern, comfortable apartment with complete wooden furniture, spacious wet area with shower and window, separate WC, floor heating in the entire apartment (individually regulated in every room), very spacious and bright and cheerful room emanating a sense of well-being. Features dishwasher, microwave, oven, ceramic glass hob, freezer compartment, coffee percolator, kettle, toaster. Also available are a radio and satellite TV, parquet flooring. Is on the ground floor with access to the large garden. Garden furnishing.